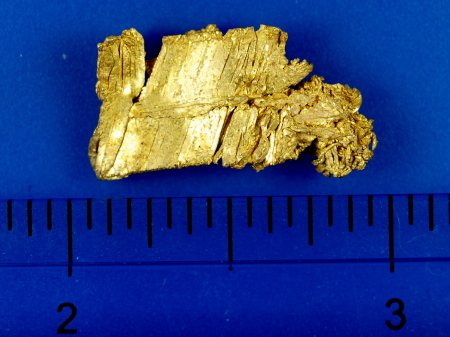 This is one of several gorgeous gold specimens that originated at the Round Mountain Gold Mine in Nevada. Some of the specimens that have been recovered from this mine are absolutely amazing, and this one was no exception. The structure of the gold is something that you almost never find, and commands a very high price from collectors. A true work of art by Mother Nature.